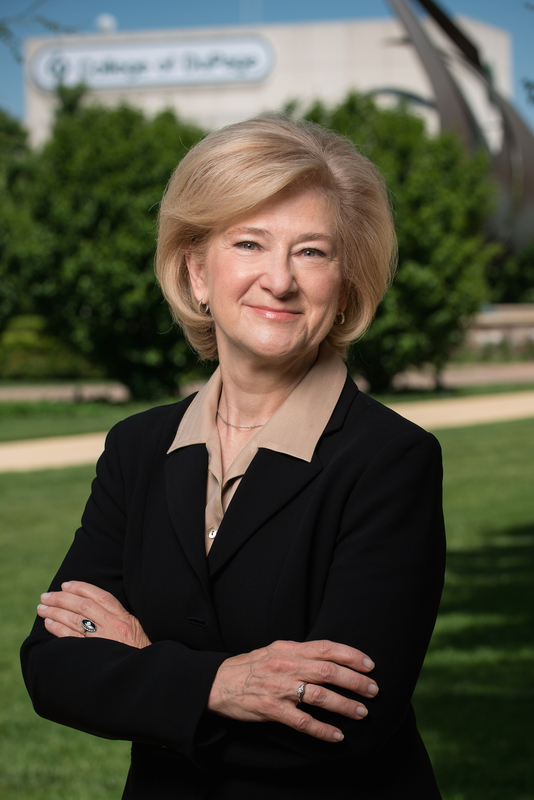 GLEN ELLYN, IL--(Marketwired - July 12, 2016) - New College of DuPage President Dr. Ann Rondeau shares her vision for COD during a video interview posted at www.cod.edu/president. "I am humbled and honored to serve this great institution," said Dr. Rondeau, who began her tenure as the College's sixth president on July 1, 2016. "I am ready and eager to get to work to support the students, faculty, staff, alumni and the broader College of DuPage community. We are a student-centric college that believes in helping our students reach their greatest personal and professional potential." Dr. Rondeau is a past president of the National Defense University, a consortium of five colleges and nine research centers in Washington, DC. Dr. Rondeau retired from the U.S. Navy as a three-star admiral in 2012. She is the second woman to have achieved this rank. Dr. Rondeau then served as a partner and later an independent consultant with the IBM Watson Group. She has extensive leadership experience in significant military and educational roles, including Deputy Commander of the U.S. Transportation Command in Illinois, Pentagon Director/Chief of Staff for the U.S. Navy Staff, Commander of the Navy Personnel Development Command in Virginia, Commander of the Naval Service Training Command at Great Lakes, Ill., Pacific Fleet Staff Chief of Staff in Hawaii, Commanding Officer of Naval Support Activity in Tennessee and other staff and commanding responsibilities with policy, support and student service. Dr. Rondeau holds a B.A. from Eisenhower College (NY), an M.A. from Georgetown University (DC) and an Ed.D. from the College of Education at Northern Illinois University in DeKalb. Dr. Rondeau holds an honorary Doctorate in Public Service from Carthage College (Kenosha, WI).